I prayed to the Lord and He answered me. 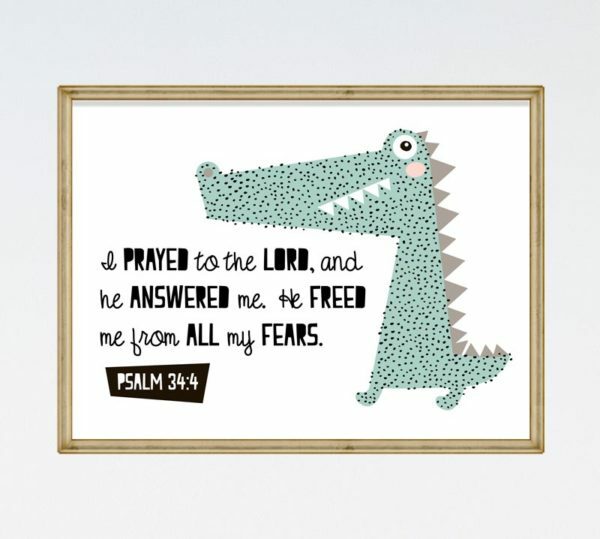 He freed me from all my fears. 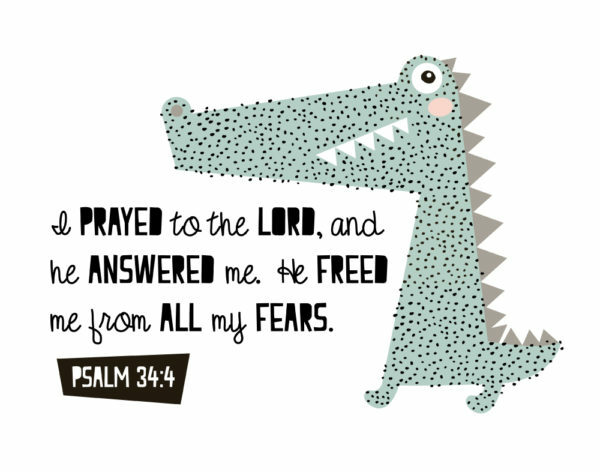 This bible verse is great for encouraging your little ones to pray and to turn to the Lord when they’re scared or worried. It’s a reminder to them that He hears our prayers and that we have nothing to be afraid of because the Lord will free us from our fears.